The new logo is wonderful. Very very nice. Wish you all a very happy Baba's day. Sai bless Sai DwarakaMai FAMILY more and more. Are you talking about the Sai Baba Logo with Hanumaan and Ganesha? If yes, download the file .exe on your machine and run it. Sai is always showing you something new and we are very happy that you share the same with us. We are all blessed to be in this Sai DwarakaMai family. 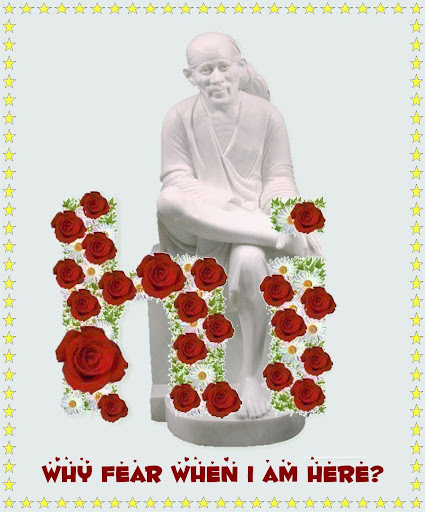 Sai guide you in everyway. Our best wishes to you in all you intend to do. Logo reminds me that Ganeshaji (He was put up during Ganesha Chaturthi) is still on Board's welcome plate. Page created in 0.589 seconds with 42 queries.